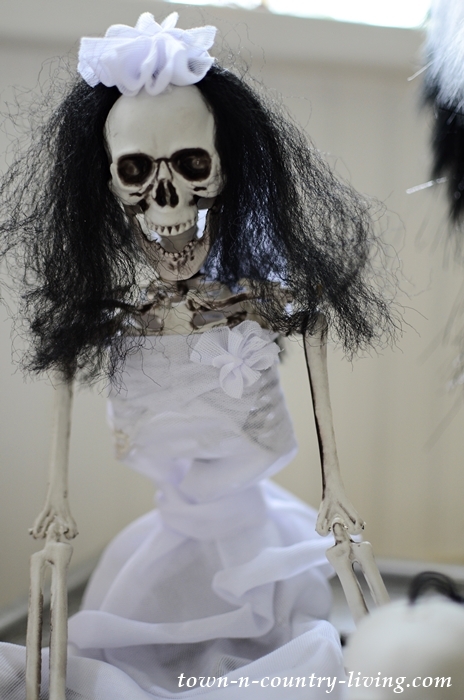 Halloween Skeleton Sightings at My House!! 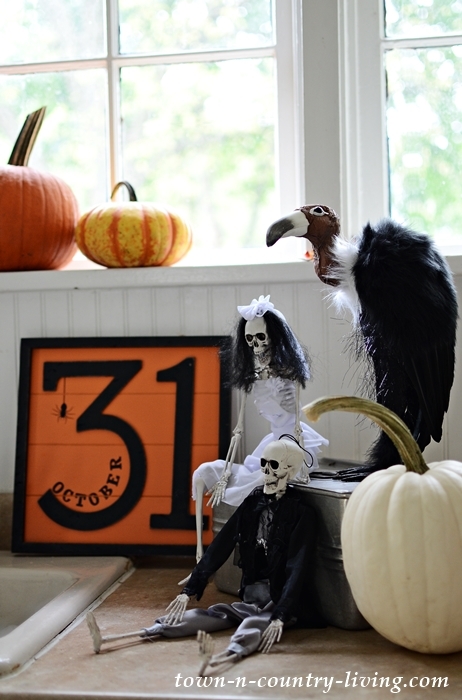 Are you ready for a spooktacular month of October? I think my house might have spirits living in it. 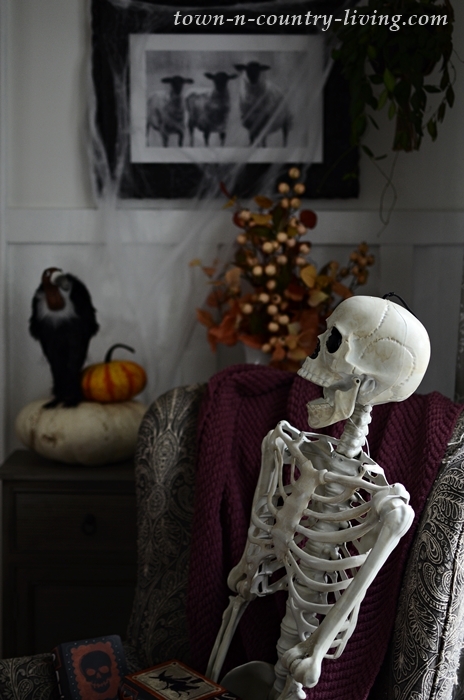 Recent skeleton sightings at my century-old house have me wondering if the house is haunted. 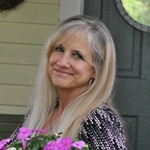 A special thanks goes out to Krista at Ella Claire for hosting today’s Halloween tours. 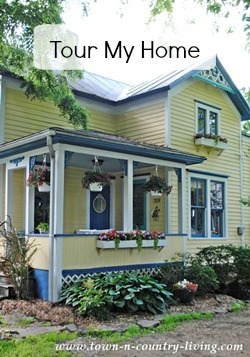 Be sure to visit all 26 homes – links at end of post. 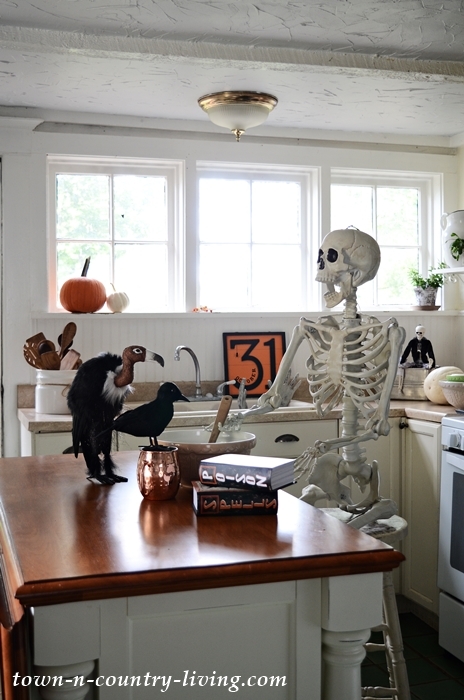 Skeleton sightings started in the entryway when I spied this spirit in my reading chair with his vulture friend looking on. 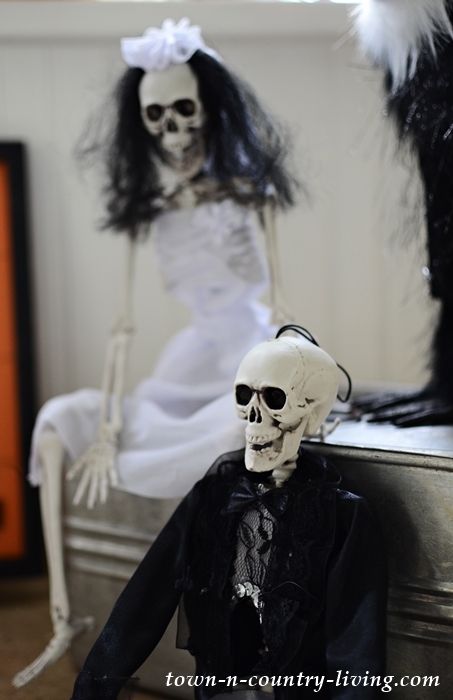 On another day, our bony visitor was having a party in the sitting room with a friend. 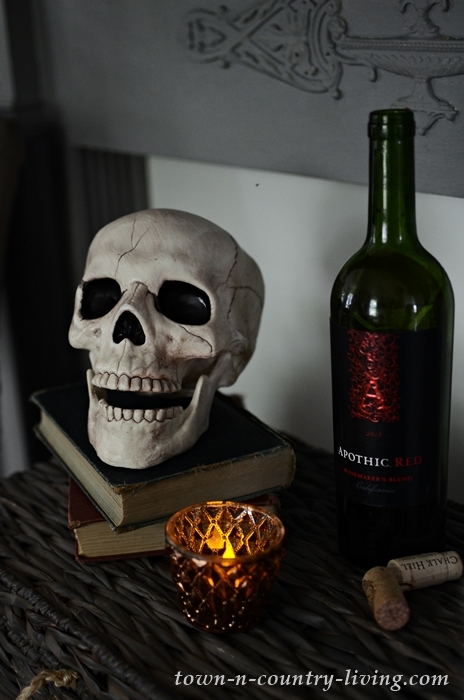 A favorite bottle of my Apothic red wine was confiscated and devoured. 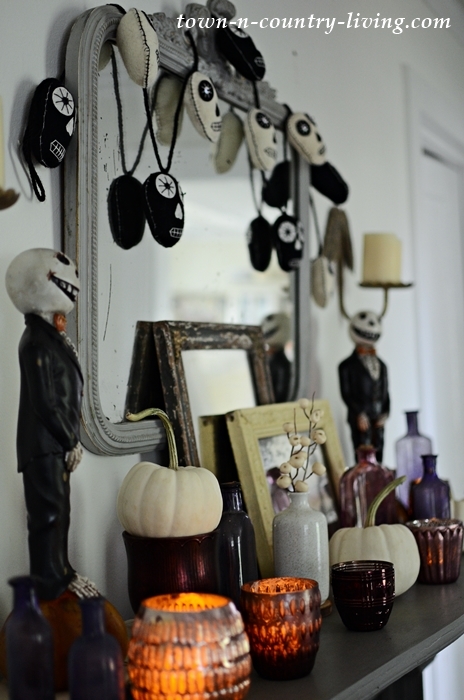 They decorated my fall mantel with creepy stuff. Like Jack Skellington from Nightmare Before Christmas. 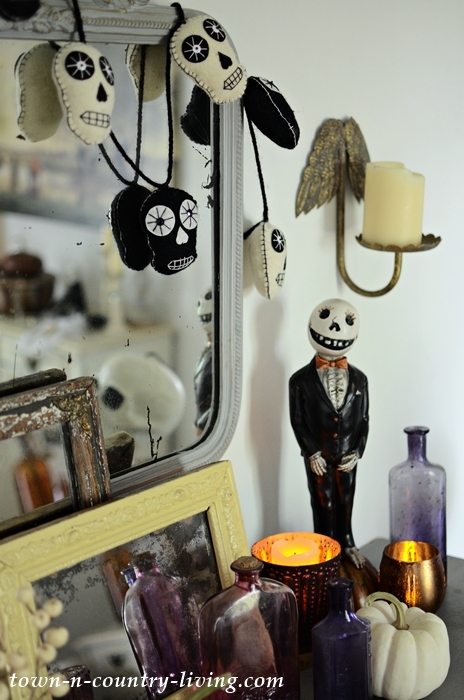 A Day of the Dead garland is strewn over my vintage mirror while Jack looks on. Honestly I’m getting a bit creeped out by all the shenanigans. 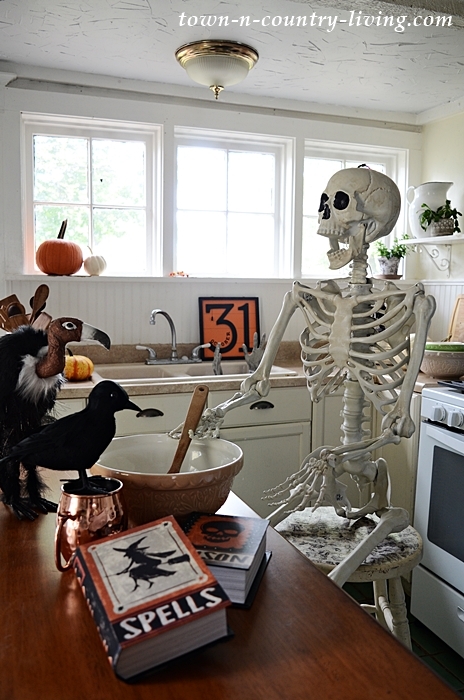 Skeleton sightings occurred in the kitchen, as well. I’m not sure who was drowning in the kitchen sink. But a group of spooky spectators seemed to enjoy the morbid fun. 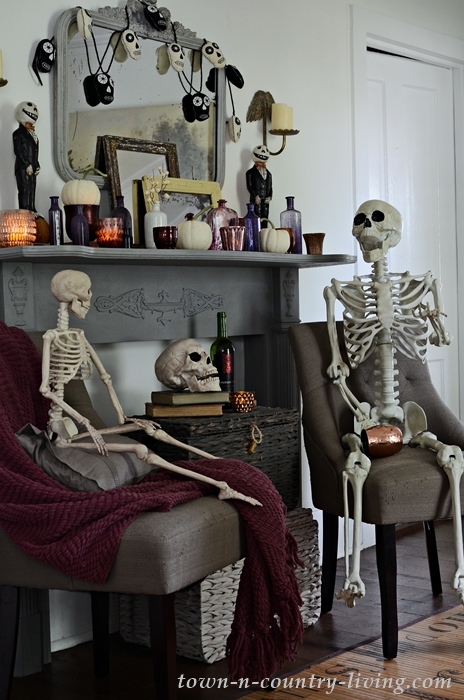 Maybe this is how newly married skeletons celebrate their wedding. 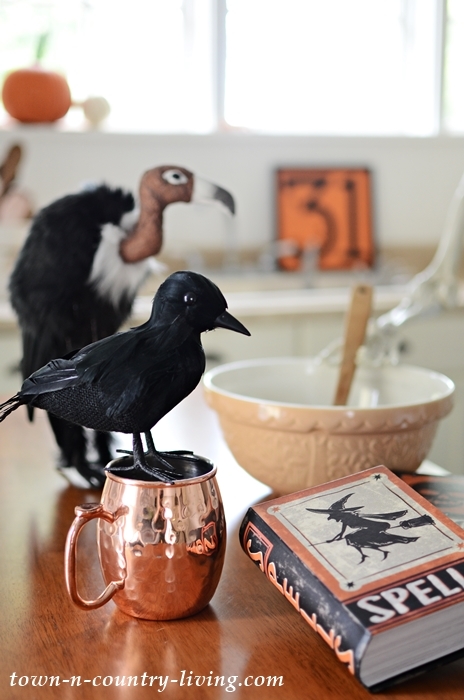 The vulture invited his crow friend to see what deadly concoction was being stirred up. Perhaps a wicket spell or two. 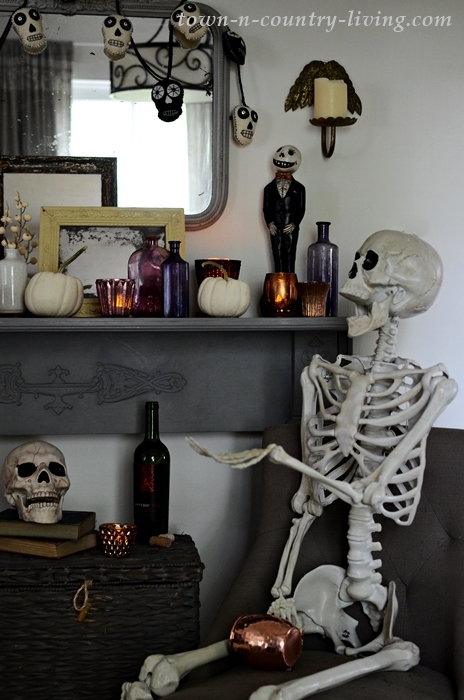 Will today be the end of skeleton sightings in my home? Or is there more to come? Time will tell, my friends! 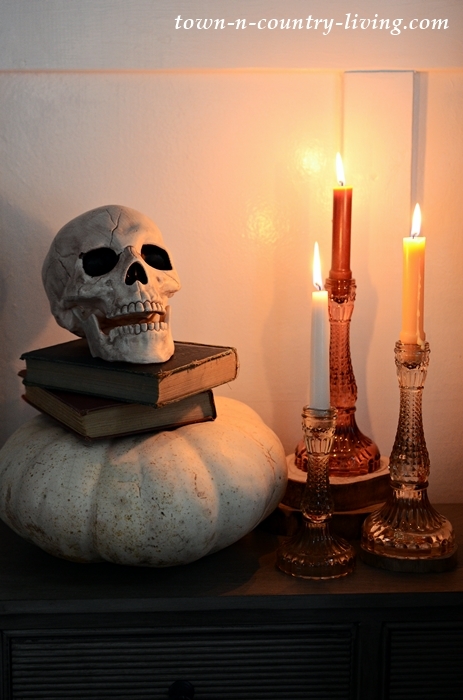 For more spooky Halloween tours and skeleton sightings – visit my blogging friends below … if you dare!! OMG! Where did you find the vulture? I love him (or her). 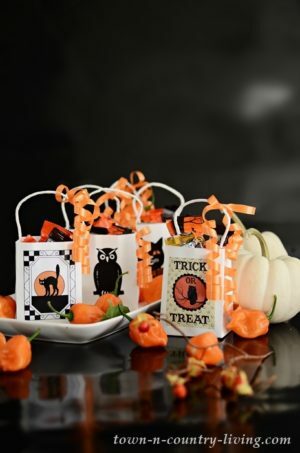 Everything looks “Spooktacular”! 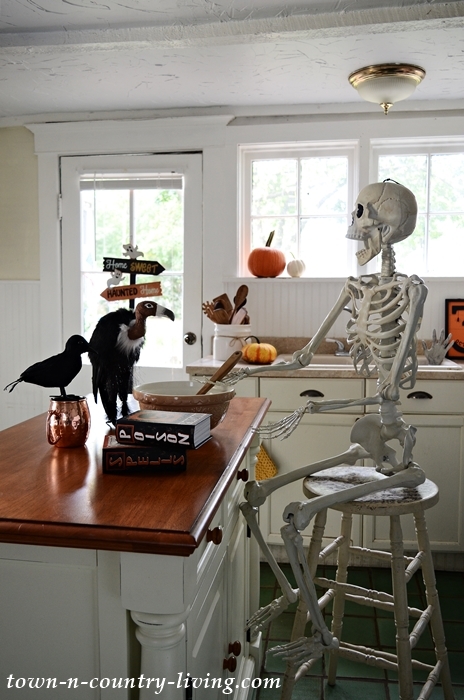 OMG, you have so much spooky stuff! I’ve never been a Halloween person, but I’m impressed at your collection. 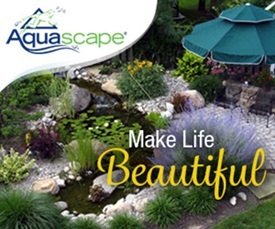 Your beautiful home has been taken over and transformed. “They” are everywhere. I would be afraid to turn down the bedcovers. Yikes!!! Hi Pat! 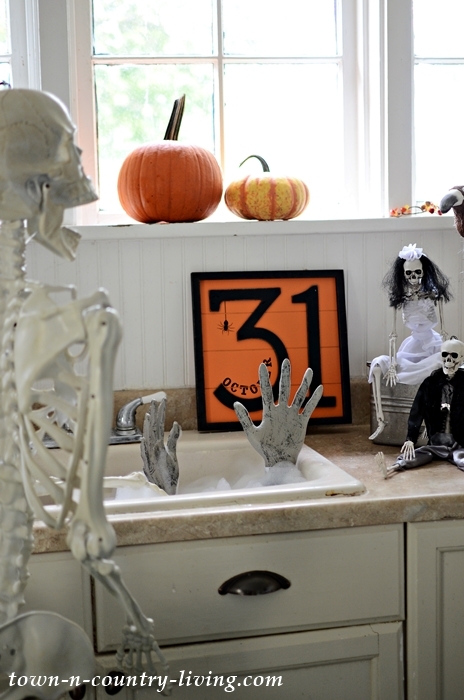 I have to admit I was getting a bit creeped out by the Halloween decor. LOL! What a cute collection and well done. Thanks for the adventure. Haha! I love his expression. He was either scared to death or is really chatty! So well done! This is amazing, Jennifer! 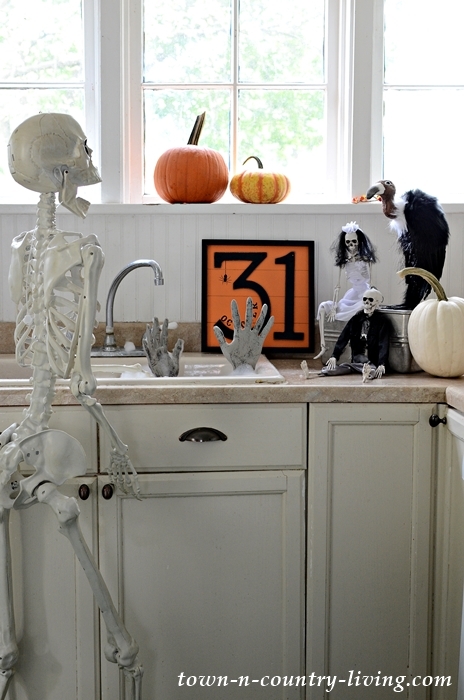 I love the skeletons standing up in the kitchen. Thanks, Norma! 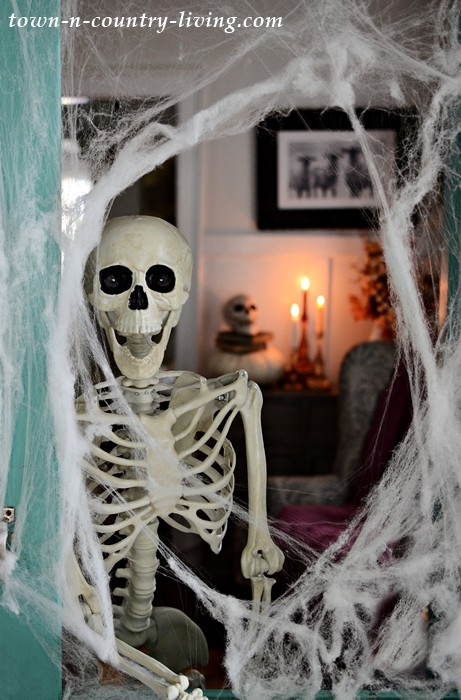 I kind of want to leave him at the front door to greet trick-or-treaters! Oh that buzzard! He has captured my heart. 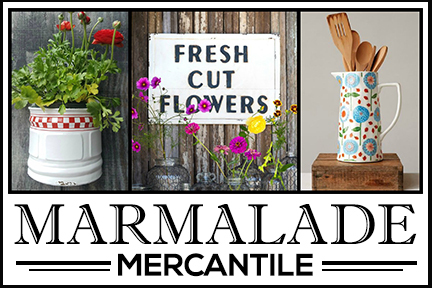 Wherever did you find it? Hi Laura! I found him at Joann Fabrics. 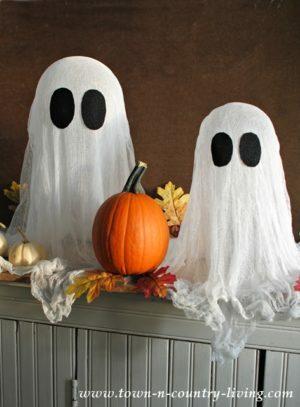 I think their Halloween stuff is still on sale right now. 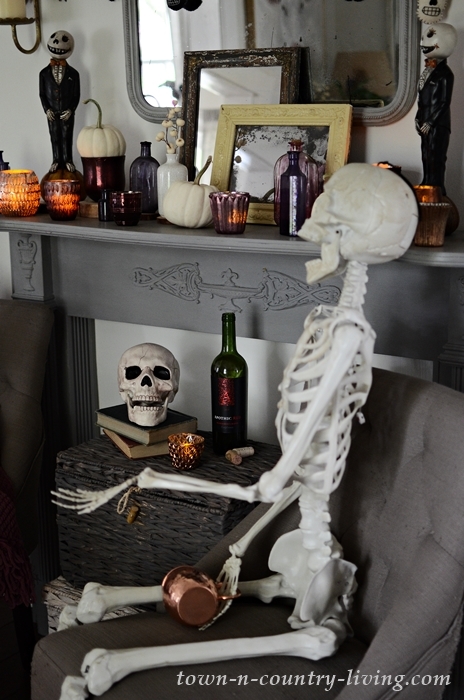 That skeleton gets around and I’d love to share that bottle of wine with him! 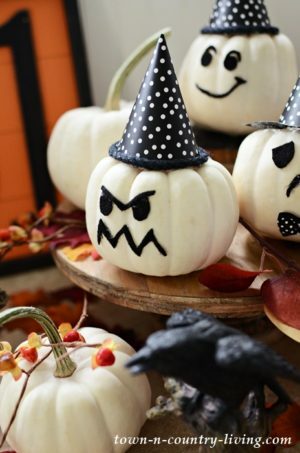 Oh your Halloween decor is SO fun! You went all out and your house looks awesome! 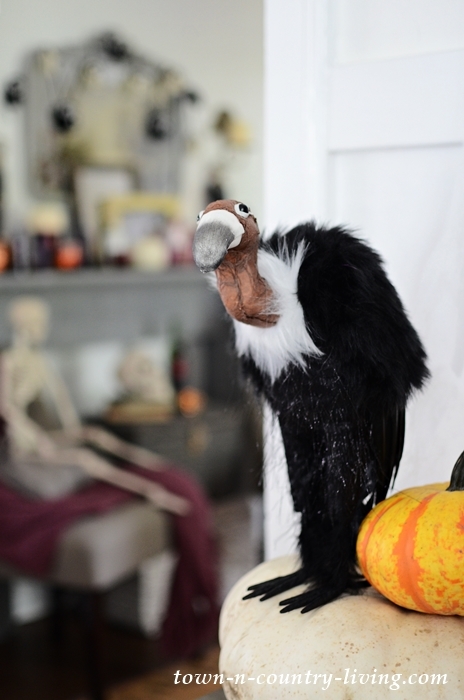 I never thought I’d say a vulture is cute, but that is DARLING! 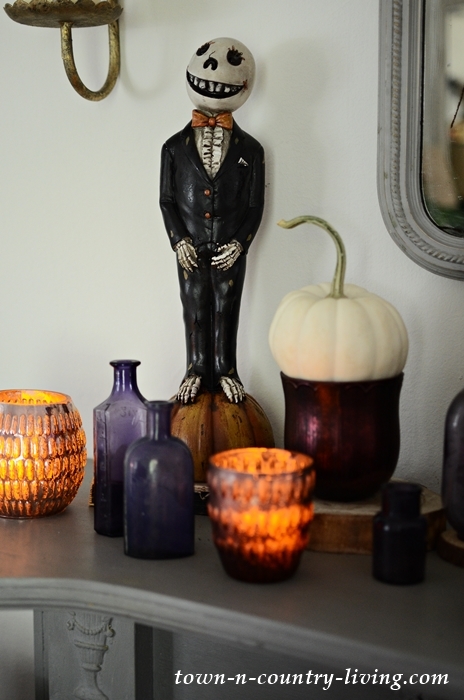 Love you Halloween home!